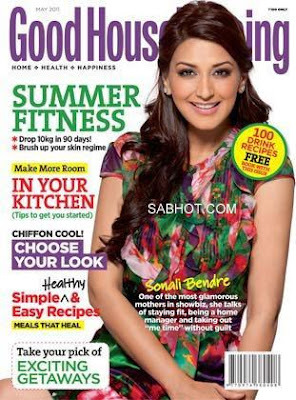 Sonali Bendre was born on the 1st of January 1975; Sonali Bendre is an Indian actress and model. She has starred mostly in Bollywood films and even showed her acting skills and talents in a few Marathi, Telugu, Tamil and Kannada films also. About her studies;she pursued at Bangalore in Kendriya Vidyalaya. She was also recognized as a graceful dancer through films like Bombay for the song (hamma hamma), Lajja and Major Saab . She is listed as one of the top most beautiful Bollywood actress present and she has a huge fan following in India as well as abroad. 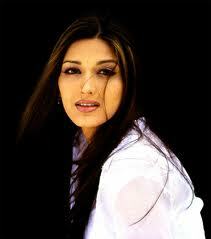 In the year 1995 she won the "Filmfare Lux New Face Award". In the year 2001 she also won "The Star Screen Award as Best Supporting Actress" for her performance in Hamara Dil Aapke Paas Hai where she co-starred with Anil Kapoor and Aishwarya Rai. She showed her comic talent in the film Love Ke Liye Kuchh Bhi Karega for which she was much appreciated. 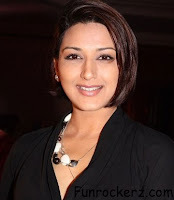 On November 12, year 2002 ; she married film producer/director Goldie Behl. On August 9, 2005 she gave birth to a baby boy and named him 'Ranvir' at Breach Candy Hospital. Sonali Bendre has also done theatre play called "Aap Ki Soniya" - for which she has received great appreciation and awesome applause from the crowd ;where ever the play held.